The rental unit you've been looking for! Stop looking at apartments! Condo residents take pride in where they live and neighbours are always cleaner, nicer, and non-disruptive. 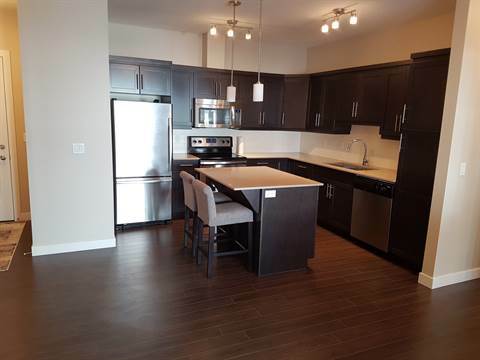 This spacious, open concept 2 bedroom on the second floor of The Station Condominiums is right in the middle of Transcona. If the fact that it's walking distance to everything you'll ever need isn't enough, the bus stop is right in front of the building. If that still isn't enough, it comes with an underground heated parking spot! Neighbours are friendly and quiet. Take part in weekly activities in the common room or go out for a fresh breath of air in the beautiful green space behind the building. Call/text my cell or email me anytime.